It’s been a dark day in Bristol as the news of ESPN’s layoffs have been made public. While this is not the first round of three figure layoffs that have impacted ESPN in recent years, it is the first one where the names involved have been predominantly public figures like on-air talent and writers. All day many longtime, well-known personalities have announced on social media that they were part of the layoffs. In his memo to employees, ESPN President John Skipper spoke about a need to be more “efficient and nimble” in the network’s operation. And as part of the layoffs, one can’t help but think that a development outside of Bristol is a part of that. Amidst the shockwaves of ESPN cuts, it has been revealed that ESPNU is moving its studio operation in Charlotte to Bristol. Major college sports personalities like Len Elmore and Brett McMurphy have been part of the layoffs as well as multiple voices that were predominantly centered on ESPNU. According to the Charlotte Observer, the layoffs in Charlotte are in the single digits and the SEC Network operations and behind the scenes productions will remain located in the city. When you watch a college football halftime show on ESPNU, the studio you’re seeing will no longer be in Charlotte. As part of a round of about 100 layoffs companywide, the sports network is moving its ESPNU studio operation from Charlotte to Bristol, Conn., where ESPN is based, a source close to the matter told the Observer. A few ESPNU positions will remain in Charlotte, primarily the people responsible for producing the large number of events that air on the channel. In total, fewer than 10 people in Charlotte are being laid off. The SEC network operations, as well as an events division, will remain in Charlotte. ESPN employs about 200 people locally. One silver lining mentioned by the Observer is that those laid off in Charlotte can apply to work elsewhere at ESPN, perhaps even at the future ACC Network. ESPN has yet to state where those offices will be located. ESPNU is in about 69 million homes and has seen its profile rise in the last several years with the addition of more live college sports rights and also being the home for some ESPN Radio simulcasts. There was a time when ESPN Classic was more widely distributed until replaced on many lineups by ESPNU. What does this mean for ESPNU’s future? The network should still have a significant place in ESPN’s future with its bevy of college sports rights, but it is worth noting that ESPN will be facing a situation where its college rights will be further diluted with the creation of the ACC Network coming soon and Fox Sports picking up half of the rights for the Big Ten Conference. 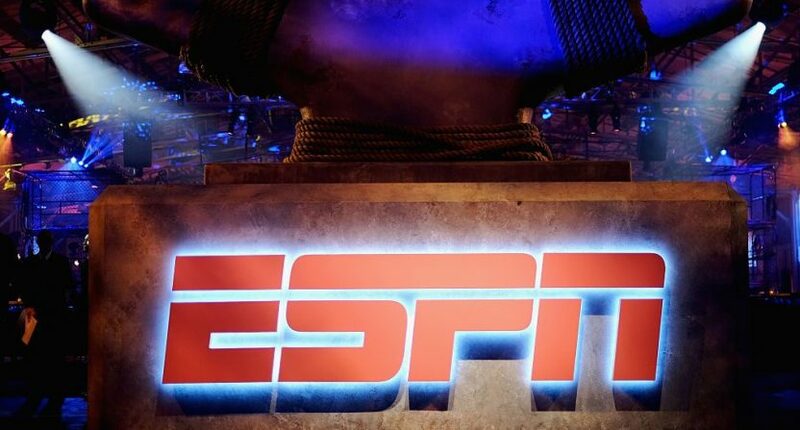 ESPN could look to consolidate its studio coverage that was on ESPN and ESPN2 with what was aired on ESPNU. While ESPNU had exclusive programming, perhaps it means that we could see some of the programs that ran out of Charlotte now coming out of Bristol and the remaining on-air talent working more closely together. With ESPN seeking to be more efficient in their operation, these kinds of arrangements will likely be happening across the board at the company.